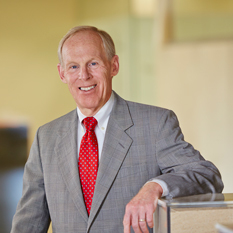 Mr. Conway has served as Chairman of the Board (emeritus) since 2010. After he and other investors acquired Best Sand in 1978, he invested in Wedron Silica in 1984, along with Charles D. Fowler and the Wedron Silica management team. Best Sand and Wedron Silica then merged to form Fairmount Minerals, now known as Fairmount Santrol in 1986. Mr. Conway served as Chairman of the Board and Chief Executive Officer of Best Sand from 1978 until 1984 and Fairmount Minerals from 1984 to 1996. From 1996 until 2010, he served as Chairman of the Board. 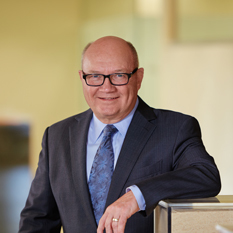 Prior to entering the industrial minerals business in 1978, Mr. Conway held management positions with Pickands Mather & Co., Diamond Shamrock Corporation and Midland-Ross Corporation. Mr. Conway serves on the boards of directors of the Cleveland Clinic Foundation, University School and Cleveland Botanical Garden. He received a B.S. from Yale University and completed the Executive Program at the University of California, Berkeley. 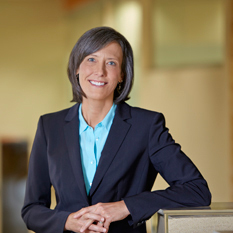 Ms. Deckard has served as President, Chief Executive Officer and Director of Fairmount Santrol since 2013. Previously, Ms. Deckard served as President from January 2011 until May 2013, Vice President of Finance and Chief Financial Officer from 1999 until 2011, Corporate Controller from 1996 to 1999 and Accounting Manager from 1994 until 1996. In her local community, Ms. Deckard serves on the boards of the Cleveland Foundation, the Chardon Healing Fund, and the First Tee of Cleveland. She also serves on the Case Western Weatherhead School of Management’s Visiting Committee and the Board of Directors for the Fairmount Santrol Foundation. Ms. Deckard received a B.S. from the University of Tulsa and an MBA from Case Western Reserve University. Mr. Fisch is the President and CEO of American Securities LLC, which he co-founded in 1994. He has also served on the Board of Directors of Metaldyne Performance Group, Inc. (NYSE: MPG) since August 2014 and is the Chairman of MPG’s Nominating and Governance Committee. He is also a managing member, director and/or officer of numerous American Securities’ affiliates. Mr. Fisch is a Trustee of Princeton Theological Seminary where he is also Chairman of the Investment Committee; Board Member of Human Rights Watch where he is also the Treasurer and Chairman of the Investment Committee; and member of the President’s Leadership Council of Dartmouth College. Mr. Fisch holds a B.A. degree from Dartmouth College and an M.B.A. from Stanford University’s Graduate School of Business, where he has been a Distinguished Guest Lecturer since 2006. Mr. Fowler has served as a director since 1984 and is Chairman of the Executive Committee of the Board. Mr. Fowler and the Wedron Silica Company management team partnered with William E. Conway in 1984 to acquire Wedron Silica and ultimately merge it with Mr. Conway’s company, Best Sand, to create Fairmount Minerals (now Fairmount Santrol). 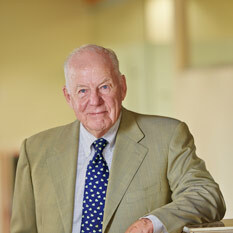 Mr. Fowler served as President and Chief Executive Officer from 1996 until his retirement in 2013. He serves as Chairman of the Board of Trustees of Case Western Reserve University and is on the boards of directors of Flying Horse Farms, DDC Clinic and the Greater Cleveland Water Alliance. He received a B.S. from Purdue University and completed the Executive M.B.A. program at Case Western Reserve University. Mr. Kearney has been a supervisory director of Core Laboratories N.V. (“Core Laboratories”) since 2004, and has served as the chairman of its audit committee since that time. Core Laboratories, a Dutch company with global operations, is a leading provider of proprietary and patented reservoir description, production enhancement, and reservoir management services. 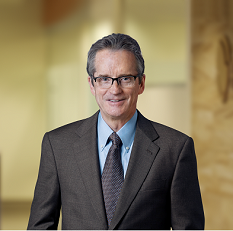 Mr. Kearney is also the Lead Director of Frank’s International N.V. (“Frank’s International”) Board of Supervisory Directors, and has served as chairman of its audit committee since 2013 and joined its compensation committee in 2014. Frank’s International, a Dutch company, specializes in supplying engineered tubular services for the oil and gas industry on a global basis. Mr. Kearney formerly served as President and Chief Executive Officer of DeepFlex Inc. (“DeepFlex”) from September 2009 until June 2013, and served as DeepFlex’s Chief Financial Officer from January 2008 until September 2009. 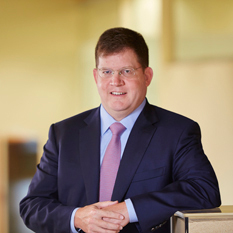 From 2004 to 2007, Mr. Kearney served as Executive Vice President and Chief Financial Officer of Tesco Corporation, a Canadian-based oil service company. From 1998 until 2004, Mr. Kearney served as the Chief Financial Officer and Vice President - Administration of Hydril Company, a manufacturer of products for petroleum drilling and production. Mr. Kearney has a Master of Science degree in Accountancy and a Bachelor of Business Administration degree in Finance. Mr. Kelly has been a member of the Board since 2005. He served as Chairman and Chief Executive Officer of Unifrax Corporation from 1996 to 2006 and is currently a board member of that company. Mr. Kelly also sits on the Board of SmartSource, a computer and AV rental company. In 2010, he joined the Executive Council of American Securities. He received a B.S. degree from Alfred University and an M.B.A. from Duquesne University. He also attended the Tuck Executive Program at Dartmouth. 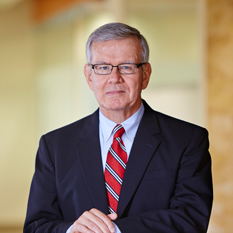 Mr. LeBaron has served as Chairman of the Board since 2010. He joined American Securities in 1999 and currently serves as a Managing Director. Previously, Mr. LeBaron was a private equity investor at Bain Capital, Inc. and a consultant at The Boston Consulting Group. He is Chairman of the Board of FiberMark, GT Technologies, Lakeside Energy, Liberty Tire Recycling and The United Distribution Group. He received a B.A. from Amherst College and an M.B.A. from the Harvard Business School. Mr. Sand has served as a director since 2010. 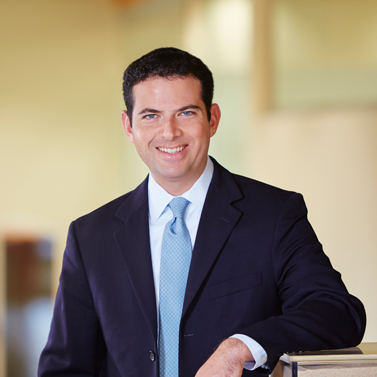 He joined American Securities in 2005 and currently serves as a Principal at the firm. Previously, Mr. Sand worked at Goldman Sachs, where he focused on mergers and acquisitions and strategic advisory assignments. He is a member of the Board of Directors of Unison Site Management and GTL. He was previously a director of Delphi Midstream Partners. He received a B.S. from the University of Pennsylvania and an M.B.A. from Columbia University. Mr. Schultz has been a member of the Board since 2010 and presently serves as Chair of the Board’s Audit Committee and as a member of its Nominating & Governance Committee. He served as an officer of Central National Bank of Cleveland, now a part of KeyBank N.A., while attending the M.B.A. and J.D. programs at Cleveland State University. 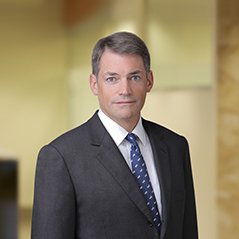 He joined Calfee, Halter & Griswold, L.L.P. in 1978 after receiving his J.D. degree from Cleveland State University, and served on Calfee’s executive and management committees. 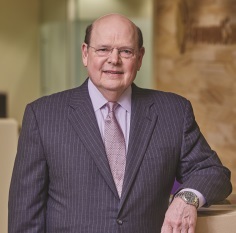 He served as principal outside counsel and Secretary to Agilysys, Inc., a NASDAQ-listed company, its Board and its Board Committees from 1999 until his retirement in 2010 and presently serves on the advisory boards of L.D. Kichler Company and Austin Powder Holding Co., Inc. Mr. Schultz received his B.A. degree from Ohio Northern University in 1970. At the time of his retirement, he served on the boards and executive committees of University Circle Inc. and The Deaconess Foundation, including as Chair of their Audit Committees, and as Chair of the Board of The Gordon Square Arts District.